To create your own new iphone ringtone, you only need 3 steps. It is so easy! All you'll need is an iPhone (of course), Bigasoft iPhone Ringtone Maker, iTunes and swag of music files (for example, MP3). 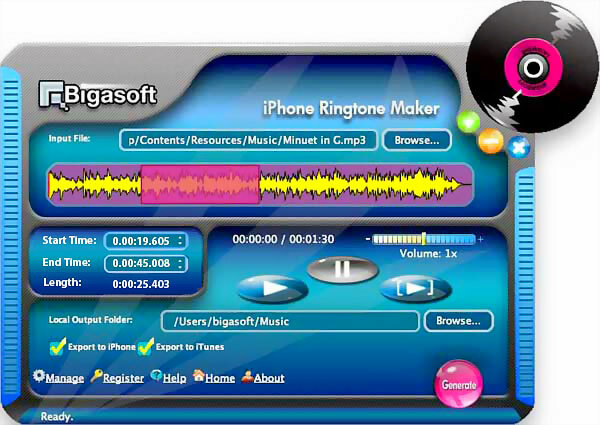 Firstly, Free Download Bigasoft iPhone Ringtone Maker and launch the software. Then, the following main interface pops up. Ready? Now let's start to make custom ringtone step by step. Click "Browse..." button on the right side of "Input File", and select your favorite song that you want to make ringtone from. Tips: You can drag and drop your favorite song from Windows Explorer or iTunes into the main interface directly. Click "Play" buttton to listen the music to find the segment that you want to use it as ringtone. Then set the Start Time and the End Time by drag and release on slider to where you want. You may click "Preview" button to pre-listen the converted audio before transfer to iphone. Be sure that the "Export to iPhone" option is checked and your iPhone is connected to your PC. Where is my new ringtone in iPhone? Tap on the "Sounds" icon in the Settings menu in your iphone, then tap on the "Ringtone" icon, you can see a list of your available ringtones. 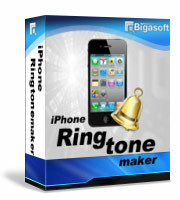 Your new custom ringtone made with Bigasoft iPhone Ringtone Maker stays in there. How to set my new ringtone as primary ringtone in iPhone? Tap on the "Ringtone" icon in the "Sounds" menu to see a list of your available ringtones. Tap on your new custom ringtone to change your settings to play it as your primary ringtone. Share your greate music taste with your friends now. How to assign a specific ringtone to individual contacts in iPhone? Choose a contact from your "Contacts" menu by tapping on it and then tap on "Ringtone" to see a list of available ringtones. The ringtone you tap on from the list will play every time that contact calls your phone. 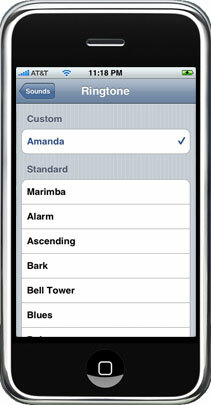 How to choose a ringtone to play as an alarm on iPhone? Choose the alarm and the plus sign from "Clock" application and then tap on "Sound" to see a list of available ringtones. The ringtone you tap on from the list will play as an alarm.